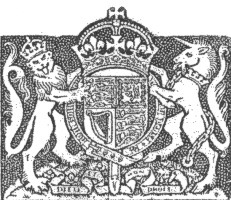 The following article is from The London Gazette – an official journal of record of the British government. Originally published on Friday 23rd April 1948, this article has been archived on the Britain at War website. The following Despatch was submitted to the Lords Commissioners of the Admiralty on the 2nd May, 1945, by Vice-Admiral Sir ARTHUR J. POWER, K.C.B., C.V.O., Commander-in-Chief, East Indies Station. The accompanying reports by Flag Officer, Force “W” on naval operations in the Ramree Island area between 19th January and 22nd February, 1945, are forwarded for the information of Their Lordships. 2. I concur in the conclusions of the Senior Officer Advanced Force “W”, and in the remarks of Flag Officer, Force “W” Considerable ingenuity and resourcefulness were shown by all the Commanding Officers in this operation, and the endurance and determination of the crews of small craft during Operation “Block” were most creditable. The Royal Indian Navy landing craft crews demonstrated again the zeal and efficiency which have formed a notable contribution to the success of all the combined operations on the Arakan Coast. REPORT ON NAVAL OPERATIONS IN THE RAMREE ISLAND AREA. The attached report on the Naval Operations at Ramree Island is forwarded. 2. As stated in paragraph 7 of the report I instructed my Chief Staff Officer, Captain E. W. Bush, D.S.O , D.S.C., R.N., to place himself on divisional level with Major-General Lomax at Kyaukpyu and to render all assistance to that officer in his task of clearing the enemy off Ramree Island. Though this step meant that my Chief Staff Officer was divorced from me from 24th January to 24th February, I am of the opinion that the results obtained justified it. I have the honour to submit the following Report on Naval Operations in the Ramree Island Area from 19th January to 22nd February, 1945. These operations formed part of the strategic advance of the 15th Indian Corps down the Arakan coast with a view to securing the airfields on Ramree Island from which Fourteenth Army could be supplied on their advance on Rangoon, and operations could be mounted for the capture of that port by sea should it become necessary, and which 1 in fact did prove the case. 2. The initial assault (Operation “Matador”) by the 26th Indian Infantry Division, Major-General C. E. N. Lomax, C.B., C.B E , D.S.O., M.C., and troops under his command, had taken place at 0942 on 21st January, 1945, after preliminary bombardment by the air forces. 3. The Assaulting Brigade, the 71st Indian Infantry Brigade, Brigadier R. C Cottrell-Hill, O.B.E , M.C., and the ” Follow Up ” Brigade, the 4th Indian Infantry Brigade, Brigadier J. F. R Forman, had been landed under cover of R A.F. aircraft and guns of the Fleet without meeting with much opposition On 26th January they were joined by the 36th Indian Infantry Brigade, Brigadier L. C .Thomas, D.S.O , O.B.E., M.C. 4. By 23rd January a firm bridgehead had been established at the north west extremity of Ramree Island. The Naval Officer in Charge, Lieutenant-Commander G W. S. Goss, R.N.V.R, with Port Party Number 31 had set up his Headquarters on shore, and Kyaukpyu harbour was in the process of being developed, as an anchorage. Moored mines had been found in the inner harbour on D day and were being swept by B.Y.M.S.1 under command of Commander E. J. C Edwards, D.S.C., RN.V.R, Commander M/S, Bay of Bengal. Sweeping operations were concluded on 24th January and the harbour declared clear of mines. 5. Captain E. T. Cooper, D.S.O., R N., had, on Brigade level, carried out the duties of Senior Officer Assault Group during the landings and remained in charge of the build up and Ferry Service. 6. The Commander, 26th Indian Division, General Lomax, had disembarked on 21st January, with his staff and taken over control of military operations, which had passed from a Brigade Operation to a Battle on Divisional Scale. 7. In compliance with verbal instructions received from Rear-Admiral B. C. S. Martin, C.B.E., D.S.O , Flag Officer Force “W”, I joined General Lomax at Kyaukpyu on the morning of 26th January, with a small Naval Staff, and with the title of Senior Officer, Advanced Force “W”. Here in a “tumbledown” house, formerly occupied by the Japanese Military Staff, we were joined by Wing-Commander R Smith, Royal Air Force, and established a Combined Headquarters. 8. The Japanese had developed a strong defensive position guarding the beaches near Thames Point. Their main body was established near Ramree Town. A landing a Kyaukpyu was unexpected and tactical surprise was achieved. 9 As soon as our bridgehead was consolidated, the 71st Indian Infantry Brigade was ordered to advance rapidly southward down the west coast road, leaving the 4th Indian Infantry Brigade in defence of the Kyaukpyu Area. 10. The advance of the 71st Indian Infantry Brigade was supported by destroyers and sloops. 11. It was expected that the Japanese would fight a strong delaying action near Mount Peter and Black Hill, to enable their reinforcements to reach the Leiktaung area where a narrow defile, through which our troops must pass, offered a natural defensive position. 12. As events transpired, determined resistance in the Mount Peter—Black Hill area was not as protracted as expected and after some brisk fighting our troops drove the enemy off and passed quickly through the Leiktaung Gap and reached the Yan Bauk Chaung 2 on 26th January, where they were brought to a halt by a strong Japanese force entrenched on the south bank of the Chaung. 13. In the meantime Force WELLINGTON consisting of Royal Marines from the East Indies Fleet, with naval support under command of Rear-Admiral A. D. Read, Flag Officer Force 65, had occupied Cheduba Island on the 26th January (Operation “Sankey”) without meeting any opposition. 14. On 30th January, Force WELLINGTON was relieved by the 2 AJMER Battalion Group from the 4th Indian Infantry Brigade (Force CACTUS). On the same day, the 8/13th Frontier Force Rifles Battalion Group of the 36th Indian Infantry Brigade (Force MARTIN), occupied Sagu Kyun (Operation ” Pendant “) also without opposition, under cover of naval and air bombardment. The task of this Force was to establish a Naval Landing Craft Base as a springboard for combined landings on South Ramree Island. 15. On 1st February a company of the 8/13th Frontier Force Rifles from Force MARTIN landed without casualties on the south tip of Ramree Island, under cover of naval and air bombardment. The task of this company was to guard the entrance to the Kalemgdaung River. 16. It was the original intention of the Commander 15th Indian Corps, Lieutenant-General Sir A. F. Philip Christison, Bart , K.B.E , C.B , D S.O., M.C., to capture only as much of Ramree Island as was necessary for the development of airfields to supply the 14th Army during the monsoon, and to launch at an early date a major operation against the mainland in the Taungup area mounted from Kyaukpyu. (a) The whole of Ramree Island to be captured. (b) Raids and such minor landings as could be supported administratively to be carried out on the- mainland between Taungup and An Chaung with a view to facilitating the eventual capture of Taungup itself. 18. Further attempts by the 71st Indian Infantry Brigade to cross the Yan Bauk Chaung, paragraph 12, met -with no success, in spite of heavy gun support from destroyers and from cruisers of Force 65. It was, therefore, necessary to review the situation in the light of the Joint Force Commanders’ directive, and to devise another plan for defeating the enemy. 19. The possibility of an amphibious landing on the beaches on the south of the Yan Bauk Chaung was considered first of all. The idea, however, was rejected on the grounds that the beaches were strongly defended and believed to be mined. Surf conditions on the beaches were an added objection. 20. A solution was found in a decision to order the 71st Indian Infantry Brigade to advance north east towards Sane and outflank the Japanese positions south of the Yan Bauk Chaung, and then to attack Ramree Town from the north west. To implement this decision, part of the 4th Indian Infantry Brigade were ordered south into the Yan Bauk Chaung area. 21 This new move had Naval implications. While the 71st Indian Infantry Brigade had been operating near the coast, it had been possible to give them all the naval gun support they required. But now that the advance had turned inland, the enemy would soon pass out of range of H.M. Ships lying off the west coast of Ramree Island. 26 A glance at the map in Appendix I will show that an interesting situation had developed. The bulk of the Japanese who survived the battles were now to the eastward of a line drawn between Sane and Ramree with remnants probably still in the southern part of the Island. To the Japanese there remained only two alternatives, to stand and fight or to escape from the island by water They chose the latter alternative and in so doing met with disaster. 27. The best method of preventing the Japanese from escaping by boat to the east and the north east had for some time been the subject of close study by the Combined Staffs. The conclusion reached was that with the use of destroyers and all B.Y.M.S., M.Ls. L.C.S. (M) and L C.A ,3 the Navy could block effectively the Chaung exits from the Taraung Chaung to the Pakseik Taungmaw River in the east, and exits into the Mingaung Chaung and Pakseik Taungmaw River in the north east. The Army must look after the remainder. 28. The Combined Operation which followed, known as Operation “Block”, commenced on 8th February, and was concluded on the 22nd February. The Army covered the Chaung exits south of the Taraung Chaung by an advance north from Kyauknimaw with the 36th Indian Infantry Brigade, they also occupied Kalebon to guard the Japanese escape routes north between Sane and the Mingaung Chaung. R.A.F Fighters straffed boat concentrations and provided cover. Thus the Army and R A.F. drove the Japanese off the Island into the mangrove swamps where they were successfully dealt with by the Navy. 31 The frontage covered in these operations was considerable. Exits from the mangroves were not confined to those shown on the maps. Hundreds of Chaungs and waterways were found to be in existence, all suitable for native boats. Trees with thick foliage growing down to the water’s edge provided ample cover for a small boat At high water much of the mangrove was flooded, allowing lateral movement from one Chaung to another. The rise and fall of the tide, accentuated by conditions of shallow water and mud near the banks, made concealment of Landing Craft difficult. When the Chaung blocking started the moon was in its first quarter and the tide approaching springs. All these conditions were to the advantage of the enemy. 32. Disadvantages to the Japanese lay in the indescribable horrors of the mangrove swamps. Dark during the day as well as during the night, acres of thick impenetrable forest; miles of deep black mud, mosquitoes, scorpions, flies and weird insects by the billion and—worst of all—crocodiles. No food, no drinking water to be obtained anywhere. It can hardly be possible that m their decision to quit the Island the Japanese could have been fully (aware of the appalling conditions which prevailed It proved to be beyond even their endurance to exist for more than a few days. Prisoners taken out of the mangroves during the operations were found to be semi-dehydrated and in a very low physical condition. 33. The Minor Landing Craft crews with Army machine gun units embarked also had a hard time. It was found possible to relieve the Army personnel about every four days but, owing to shortage of spare crews, many of the Royal Marines and Sailors had to remain in their craft for the whole 14 days of this operation. 34. The provision of these widespread units with food, water, cigarettes, etc., and their craft with fuel and repair facilities, presented a formidable administrative problem. Largely by the allocation of a B.Y.M.S.. or an L.C.I. (L) as a “Mother Ship” to each block and by the co-operation of the Army “Q” Staff, these difficulties were overcome and after the first few days the standard of rations became, on the whole, quite acceptable. 35. Thus concluded the operations for the capture of Ramree (Island. Of the 1,200 to 1,500 Japanese in occupation on the day of landing, only a few escaped. The remainder were either killed in battle or drowned in the mangrove swamps. Only twenty prisoners were taken in spite of all efforts of persuasion towards the close of Operation “Block”, when many Japanese troops, without hope of relief or escape, had reached the final stages of exhaustion. 36. The Naval “set-up” on Ramree Island was very satisfactory. Senior Officer Advanced Force “W” and Staff devoted their attentions to the Planning of Operations, the control of H.M. Ships and Craft, and to co-operation with the Army and the R.A F. The Senior Officer Assault Group, Captain E. T. Cooper, D.S.O., Royal Navy, and his Staff were fully employed in the execution of the operations, the maintenance of craft, and the training and supervision of their crews. 37. Co-operation with the 26th Indian Infantry Division, under the able leadership of General Lomax, worked very well indeed. It is no exaggeration to say that throughout the period of our stay on the Island no moves in battle were ordered by General Lomax without the knowledge of the Naval Staff. Similarly, the proper employment of H.M. Ships and Craft was often the subject of joint consideration. 38. This excellent co-operation was made easy by the fact that all three Services worked together under the same roof, used the same mess, and shared the same camp. General Lomax and his staff were always most co-operative and often visited ships and craft employed in support of the Army. The R.A.F. also co-operated fully and effectively. 40. The contribution made by destroyers in support of the Army was an important factor in the operations. A total of 64 shoots were carried out, 35 with F.O.B. observation in direct support of the leading Infantry, and seven with Air O.P. observation. Communications with the F.O.Bs. were good throughout, and in addition to the engagement of targets, a great deal of valuable information was passed back in a steady stream from F.O.Bs. via the destroyers, to Combined Headquarters at Kyaukpyu. 41. The standard of gunnery in destroyers was high. Great credit is especially due to H.M.S. PATHFINDER, Lieutenant-Commander J. F. Hallifax, Royal Navy, for their excellent shooting and overall contribution to the success of the Operations. 42. Commander R. W. W. Ashby, D.S C., R.N.V.R., Senior Officer Arakan Coastal Forces deserves recognition for his share in the very fine performance put up by his M.Ls. Also Commander E. J. C. Edwards, D S.C., R.N.V.R., Commander M/S, Bay of Bengal, for leadership and devotion to duty in command of the B.Y.M.S. 43. Special mention should be made of Captain E T. Cooper, D.S.O., Royal Navy, who, as Senior Officer Assault Group, was responsible for the successful execution of all the Combined Operations described in this report. 44. On the Staff side, the work of Lieutenant-Commander R. M. P. Williamson, Royal Navy, in particular, was very valuable. 1 Admiralty footnote —rB Y.M S = British Yacht Minesweeper.